Welcome to Hit & Run Baseball Academy! Call or e-mail us today to schedule a private or group lesson, or if you want to rent one of our three batting cages. Also be sure to check out our Facebook page for news, updates, and tips! 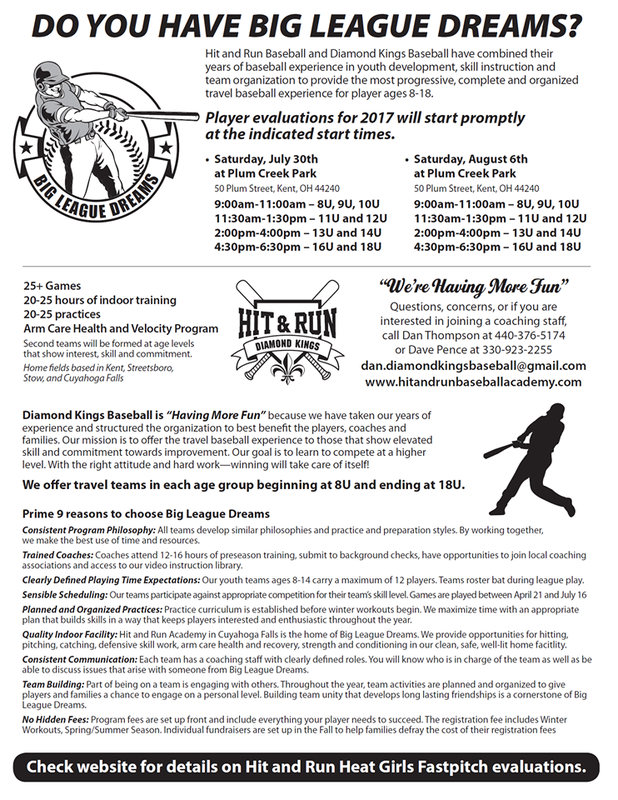 Hit and Run Baseball and Diamond Kings Baseball have combined their years of experience in youth development, skill instruction and team organization to provide the most progressive, complete and organized travel baseball experience for player ages 8-18. See more details in the flyer below! Click here to register for the upcoming player evaluations.